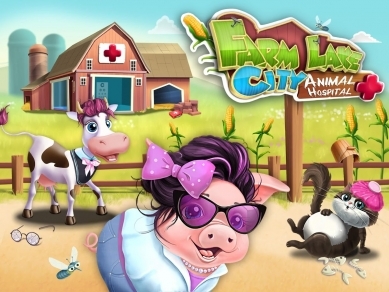 Farm Lake City animals need doctor help! Tummy Clinic, Skin Care, Eye Clinic and Dental Office have patients waiting, help them get well! 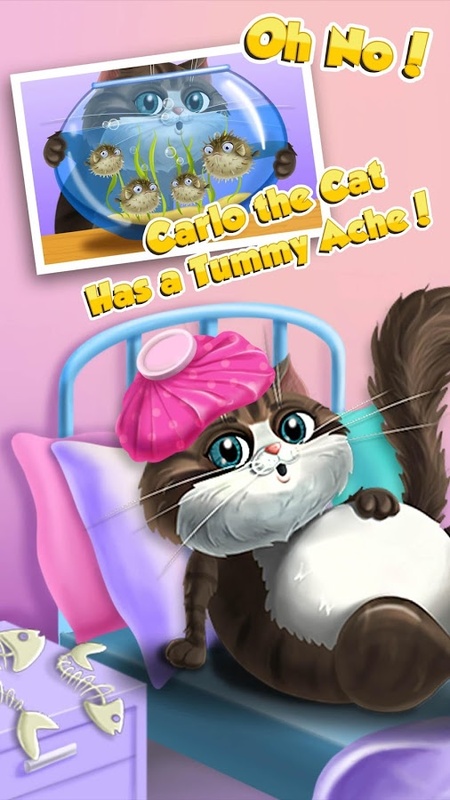 Carlo the Cat has a tummy ache after eating too much fish. Mrs. Pigsley, the lady pig, got a sunburn instead of a nice summer tan. 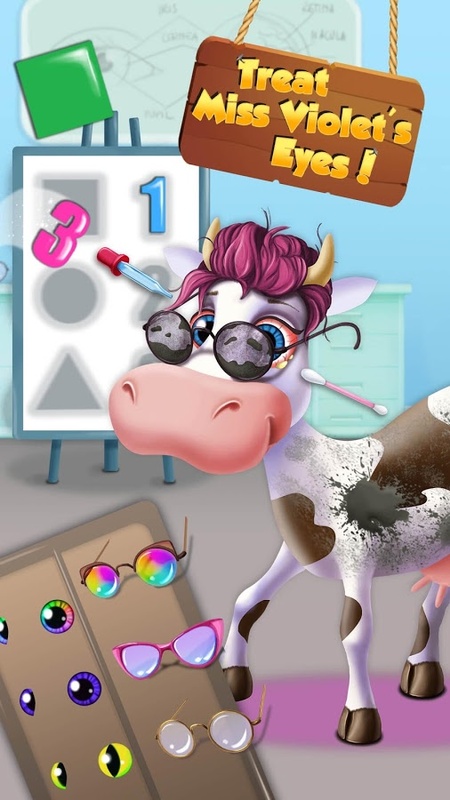 Miss Violet, the lady cow, read books in the dark and now her eyes hurt. Billy the Donkey had way too much candies and he needs to see the dentist. 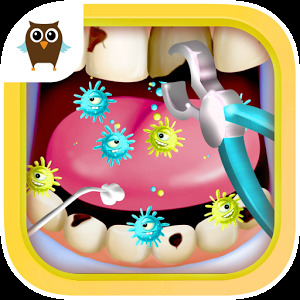 Take your doctor tools and start treating your little patients! · Play the best animal doctor, dentist and pet vet games for kids and toddlers! 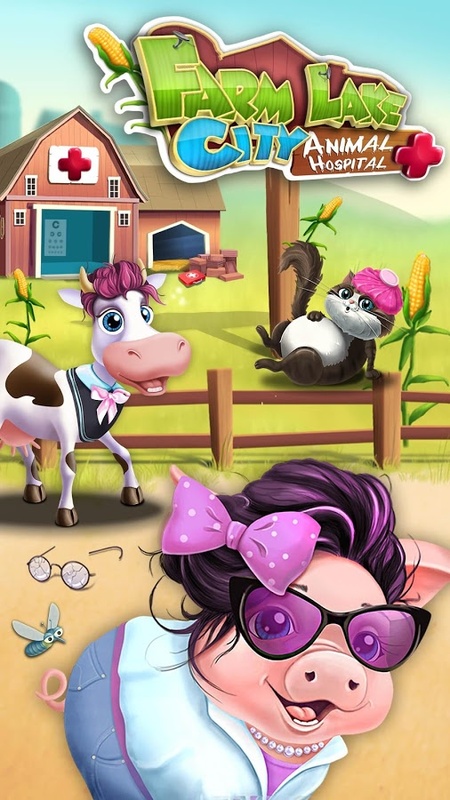 · Run your own Animal Hospital and meet four farm animals: pig, cow, donkey and cat! 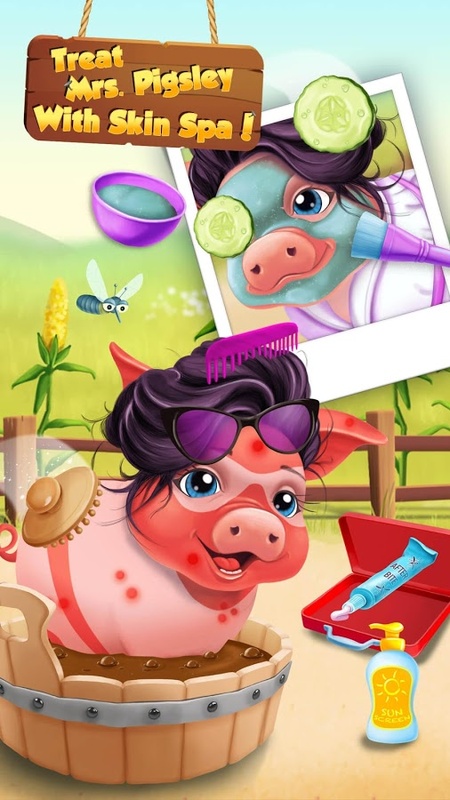 · Mrs. Pigsley got back from her fancy summer holidays with a terrible sunburn, treat her with mud bath and face spa! · Give Mrs. Pigsley sunscreen – it’s still a sunny summer in Farm Lake City! · Miss Violet, the best teacher in Farm Lake City, was reading all night and her eyes hurt, treat them with extra love and care! 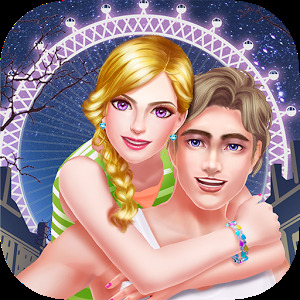 · Choose colorful contact lenses, cute glasses or cool sunglasses for Miss Violet! 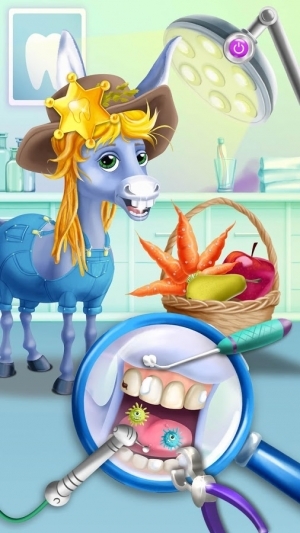 · Billy the Donkey was eating candies all day long and now he has really bad teeth, fix them in the dentist office! · Give Billy a basket of fresh and tasty fruits and vegetables that will keep his teeth healthy and strong! · Well well, just look at what Carlo the Cat did! 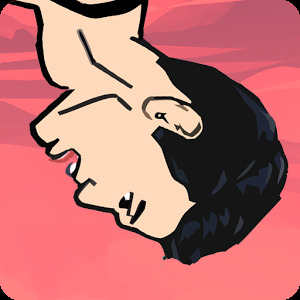 Play and find out why his tummy hurts! 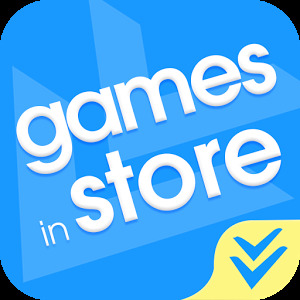 · More fun inside – watch super fun videos for kids and get extra coins! · Level up and collect all Best Farm Lake City Doctor trophies!